Welcome to Temple Jewels - the fast paced match-3 challenge! In Temple Jewels levels can consist of triangular, square or hexagonal tiles. A certain amount of this tiles is colored. Combine 3 or more jewels of the same type on any colored tiles until all of tiles got cleared. Make sure to be quick! The time is constantly ticking down and spare seconds will add to your score! On the other hand, a keen eye for possible combinations might be the key to swiftly complete a level. It's even possible to combine jewels while chain reactions are still going on! Hurry up, because if the time runs out your game will be over and you have to restart from the beginning! 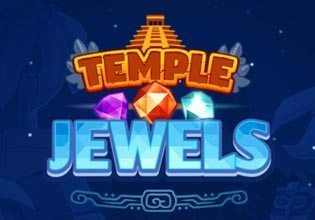 Play Temple Jewels now for free, set a new high-score and compete with your friends!